I love Brussel sprouts. I’ve always loved them. As a child, my mom would prepare them in a large pot of boiling water, cooked until tender, and then seasoned with butter, white vinegar, salt and pepper. We would only eat sprouts on Thanksgiving and Christmas, which is probably why I found them such a novelty. These days, sprouts are available year round, although they do seem to be in abundance this time of year. I love the idea of incorporating new greens into a salad. I will always remember the first time I had a kale salad and thought how wonderful it was - a salad without lettuce. 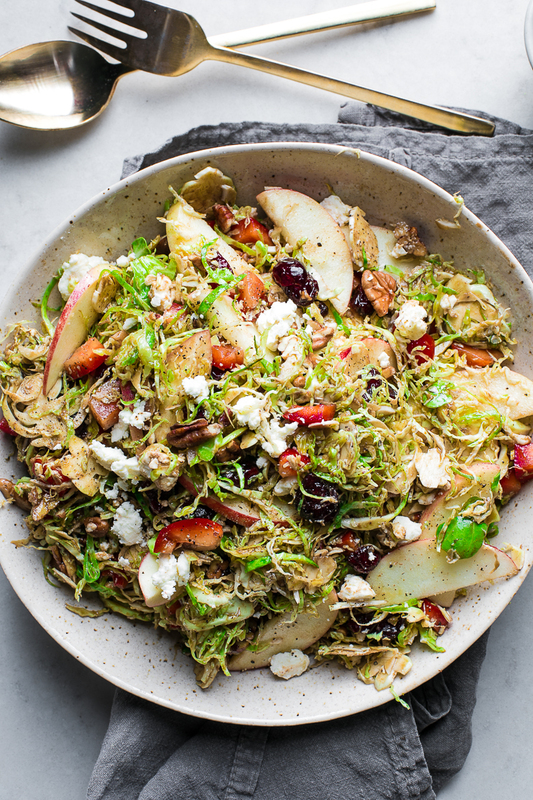 I’ve been experimenting with new ways to use Brussel sprouts and have stumbled upon this very seasonal appropriate salad with apples, cranberries, peppers, goat cheese, and pecans. 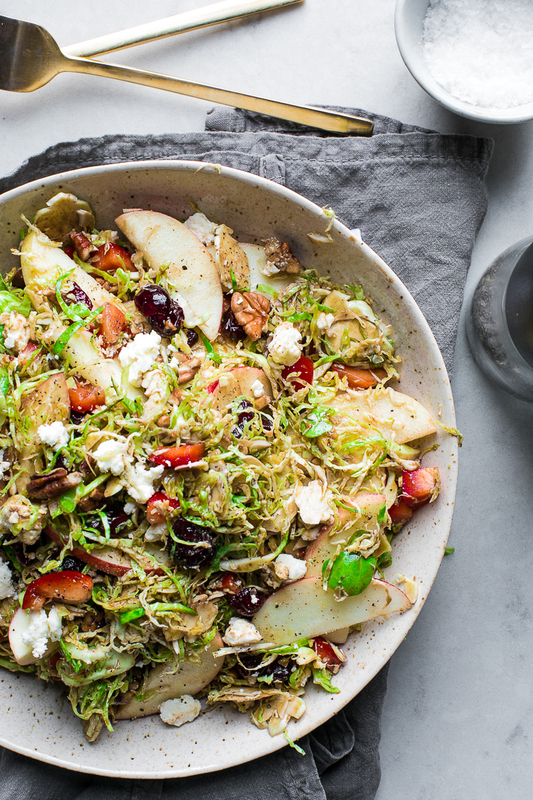 It’s the perfect use of Brussel sprouts for a Thanksgiving side. I’m usually not big on salad for Thanksgiving, but this one is just so perfect. It’s festive and has all the the Flavors we know to associate with the holiday. Wash and trim away any brown bits from the Brussel sprouts. Thinly slice with a mandolin. Place the shaved sprouts into a large bowl. Add the red pepper, apple, dried cranberries, pecans, and feta to the Brussel sprouts. In a small jar with a tight fitting lid, add the oil, balsamic vinegar, maple syrup, and Dijon mustard. Tighten the lid and shake to combine. Pour the dressing over the salad and toss. Season with salt and pepper.